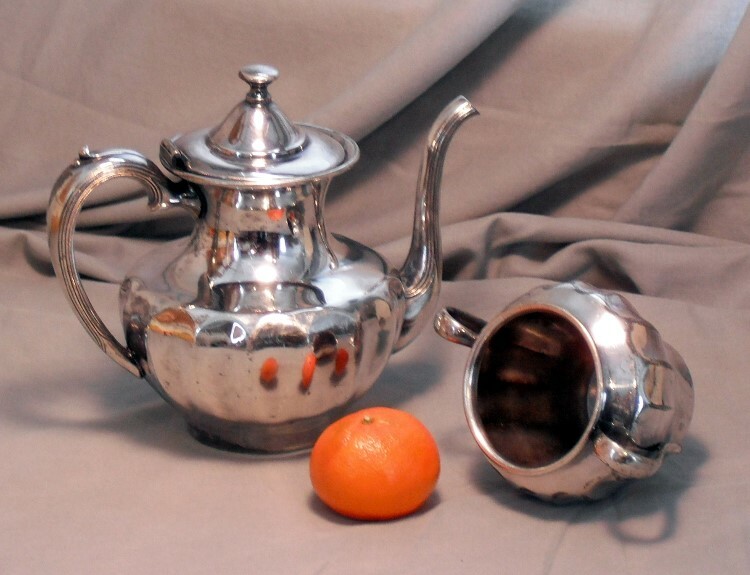 Last week I posted my silver teapot find from the flea market. I just completed this oil painting to demonstrate the fun of dealing with reflections of shiny objects. This will probably become a favorite still life subject in the future. 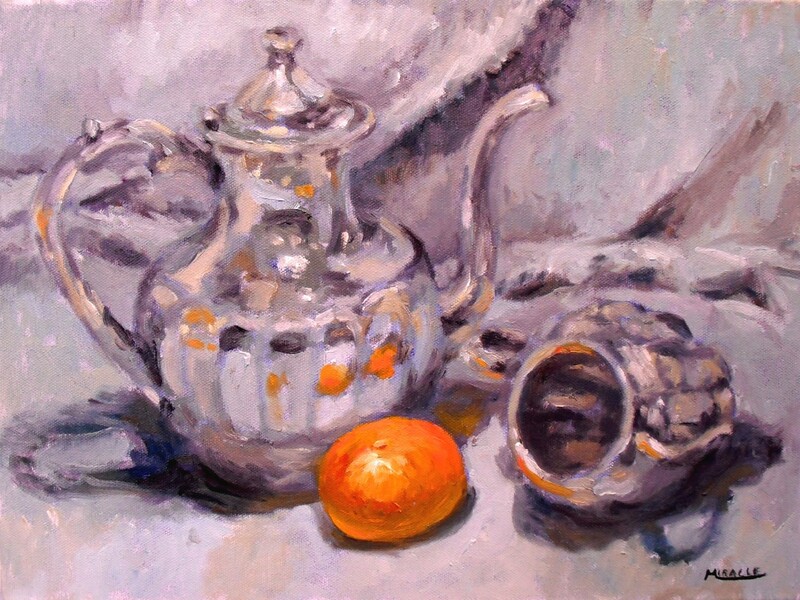 This entry was posted in oil painting, still life and tagged kit miracle, oil painting, painting instruction, painting silver, still life. Bookmark the permalink.